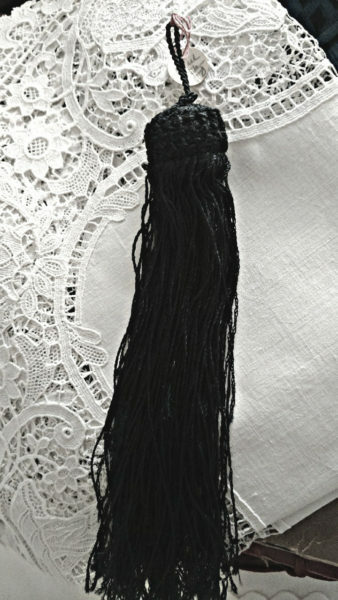 A Victorian or Edwardian navy blue dress tassel passementerie, still with the original cardboard string tag. It has a pretty crochet top with loop at the top for hanging, Thread is a silk or silk rayon. More than likely from France. A beautiful embellishment trim in unused condition. Suitable for dress, cloak, cape or millinery. Or create a new look with something old.